The Canon ImageRunner 4035 is a monochrome multifunction copier. The Canon IR Advance 4035 prints and copies at speeds of 35 pages per minute. 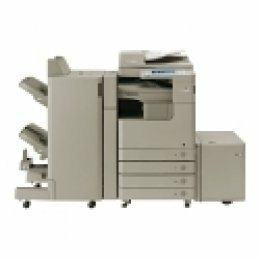 The Canon IR4035 Multifunction features a copier, internet fax, printer, network printer and scanner in one great machine.